In Madagascar, even the islands have islands. It’s very meta. I love islands. This is my kind of place. A small motorboat took me on the 40 minute journey from Ankify to the island of Nosy Be (it means the Big Island). On the way we stopped at this very small island to pick up a passenger. 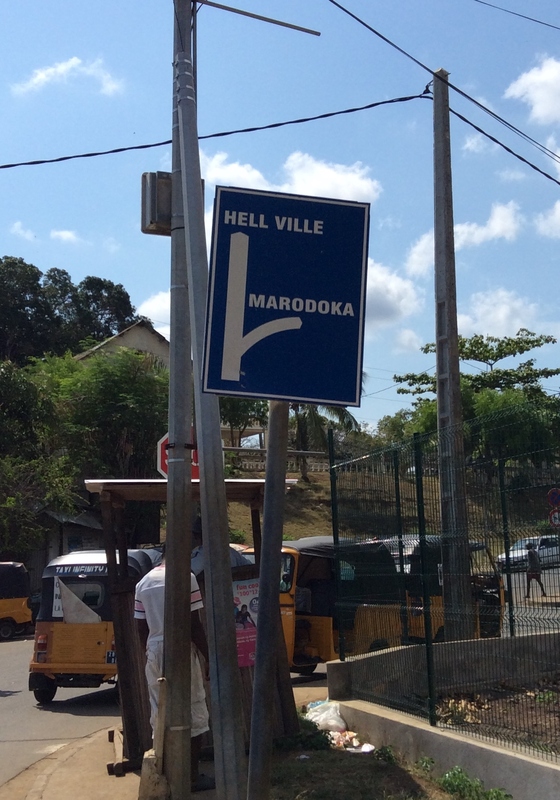 A new driver met me at the port town of Hell-ville. Where the road is paved not only with good intentions, but actual asphalt! The next day was a group excursion to two even smaller islands, which turned out to be quite fun. 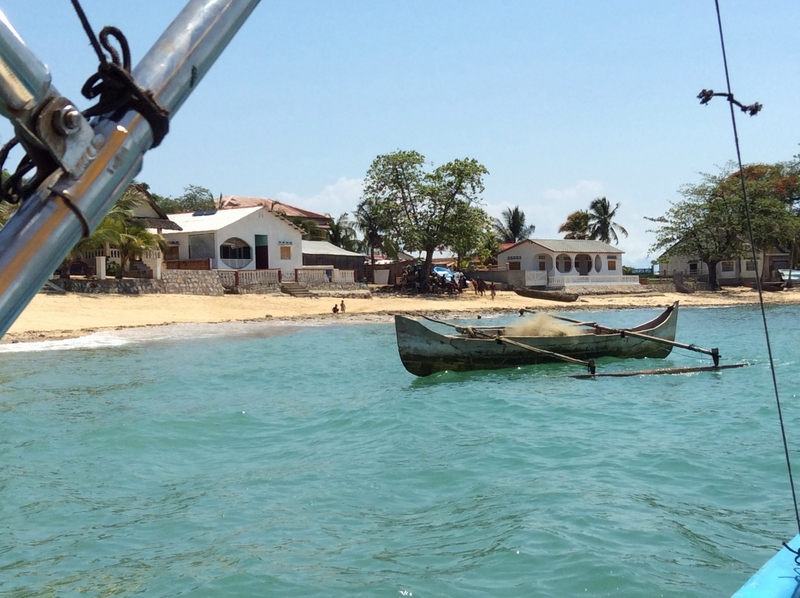 Our first stop was Nosy Komba, aka Lemur Island. This is where I would stay if I were to come back again. There is a busy fishing village with some rentable bungalows and restaurants – but no electricity or Internet. A local guide will walk you up to the “lemur park” which isn’t really a park, more like an area where they feed the lemurs to attract them for the tourists. On the way up the guide bought bananas for us to feed the lemurs with. I wasn’t going to – I’m sure it’s bad for the lemurs – but, well, the guide put a banana in my hand and I did it anyway. There are tortoises, snakes and chameleons here as well, which the local people catch and then periodically release when they catch new ones. Our last stop was Nosy Tanikely (the Small Island). This uninhabited island has a brilliant white sandy beach and crystal clear water. I went snorkeling and saw all kinds of colorful fishes as well as a variety of clams and many types of coral. In the afternoon the tour operator fixed us a delicious seafood lunch. Then more snorkeling before we reluctantly began the journey back to our hotels, sunburned but happy. This entry was posted in Around Africa, Islands and tagged lemurs, Madagascar, Nosy Be, Nosy Komba, Nosy Tanikely. Bookmark the permalink. no worries for the lemurs! fruit is the MAJORITY of their diet, although Wikipedia says they also eat leaves, flowers, tree bark, and sap. It’s not the banana so much, it’s the interaction with humans, and the potential for the lemurs becoming dependent on tourists. It’s always better if the wild animals stay wild. But dang they’re cute. Wild is way better, agreed!